African integration is an indispensable foundation for collective security, peace and development in Africa. African integration driven at large by the Pan-Africanism concept has been echoed many a times at regional forums across the continent. Political leaders at official symposiums and ceremonial summits have long promulgated the idea, but with few tangible results. The idea has witnessed limited action on the ground due to a number of regional threats, and has failed to materialise even when there have been opportunities for integration. The threats include proliferation of wars and conflicts which continue to undermine peace, proliferation of regional communities, deeply entrenched linguistic differences, transnational organized crime, xenophobia, terrorism, governance crises, politics of exclusion, prevalence of monarchical tendencies and poor cross-country transport networks. On the other hand, opportunities for integration include the very existence of the African Union, which should act as a unification vehicle, the geo-political configuration of Africa, and the potential to harness the African philosophy of Ubuntu as a uniting force. Whilst it is true that entrenching co-operative and collective security through integration is a mammoth task, this is a necessary journey Africa has to embark upon. Whilst perceived as a positive development by politicians, the proliferation of regional economic communities (RECs) across Africa is an impediment to African integration. It is disturbing and mind boggling to fathom why Southern Africa and Eastern African communities need COMESA, SADC, and the Southern African Customs Union (SACU). The members of SACU are Botswana, Lesotho, Namibia, South Africa and Swaziland. These five countries are also part of SADC, and nine members of SADC (Angola, Lesotho, Malawi, Mozambique, Namibia, Swaziland, Tanzania, Zambia and Zimbabwe) are also members of COMESA. Three of the five SACU members are members of both SADC and COMESA. Almost half of COMESA members are also members of SADC, whose membership is smaller than COMESA’s. Ultimately this weakens and impedes any efforts towards African integration. It leads to costly competition for attention and resources; conflict; inconsistencies in policy formulation and implementation; unnecessary duplication of functions and efforts; fragmentation of markets and restriction in the growth potential of the sub-region. It is the strong opinion of this author that merging RECs would be a crucial point of departure towards the pan African dream of a United States of Africa. Incompatible political ideologies, values, and ethnic identities are another divisive factor. This is further compounded by the politics of exclusion that has fuelled identity conflicts, and xenophobia. As McCoy (1993) aptly contends, “ideological pluralism” has a fragmentary influence on any integration initiative. This is further aggravated by the fact that most African countries’ ideologies are rooted in the wishes of their former colonial masters, including choice of national language. In this regard it is difficult to integrate different African nations connected to different former colonial masters. For example, France still has deeply entrenched connections to Ivory Coast and other Francophone states, the British have deep connections with Botswana, and Portugal with Angola. To gratify their ulterior motives, these former colonial masters stand against African integration. Meagre political will by African leaders to drive the Unites States of Africa agenda is is also to blame for the failure to realise this dream. An institution with 54 member countries, especially given the heterogeneity of the different countries on the continent, is very complicated to integrate. However, it is possible if invested with adequate political will. Other factors like the politics of exclusion, which has been a driving force for xenophobia, the rampant monarchical tendencies in most African countries, economic instability and violent conflict all render efforts towards integration highly doomed to fail. The drive of African leaders to integrate Africa was a significant feature of the immediate post-colonial rhetoric, and provided the logic for the Lagos Plan of Action (LPA). The LPA was an initiative of the Organisation of African Unity (OAU), adopted by Heads of State in April 1980, and intensely reinforced by the United Nations Economic Commission for Africa (ECA). A decade later in 1991 the Abuja Treaty provided strong support for the African integration agenda. This Treaty stressed African solidarity, self-reliance and an endogenous development strategy. 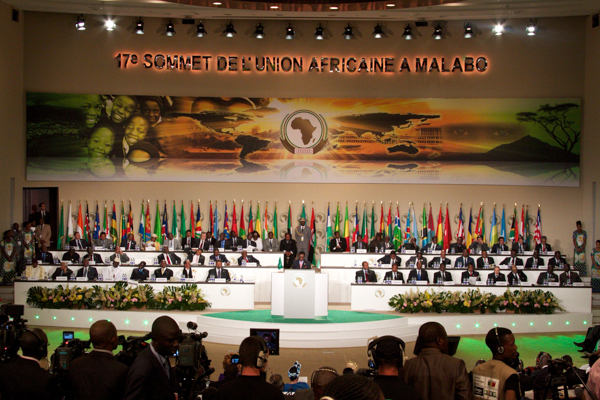 The existence of the African Union should fuel the idea for a United States of Africa. This is affirmed by Babarinde (1996) who holds that the best path to regional integration is to create a higher supranational authority, to which participating states surrender part of their sovereignty. This implies that power is legally shared between the national and the supranational levels of government. In this case, national governments will have to surrender part of their sovereignty to the newly created supranational institutions. For Africa, strengthening and capacitating the AU with power, influence and authority would be a step in the right direction. Hence, the African Union embodies an opportunity in which constructive forces for reviving the historic yearning for continental integration prevailed. The conception behind it exudes the longing for the preferment of accelerated socio-economic integration of the continent, which will lead to greater unity and solidarity between African countries. Efforts towards a Unites States of Africa should comprehend and appreciate the situation of the post-colonial state and nation-building in Africa. There should be initiatives directed at strengthening electoral and democratic governance, and solidifying progressive regionalism as a vehicle to counter the destructive aspects of globalization. This is possible only with a strong political will on the part of African leaders. Whilst it is possible, there are more things that divide us than those that unite us as Africans. Africa needs a common agenda for human rights, peace and development before we can embark on a Unites States of Africa project. We need one currency, one language, and one president. We need to inculcate a culture of peace that decimates the current culture of violence, a culture of good governance, a culture of democratic leadership, and a culture of Ubuntu. Phillip Nyasha Fungurai is an independent Peace and Governance Consultant and seasoned researcher. He has substantial experience in field research, peace education, civic education and peace building trainings. He is also passionate about peace, governance, democracy coupled with human rights issues at national, regional and global level. 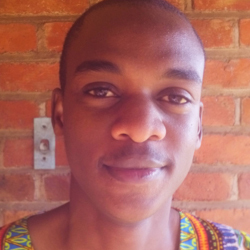 He works with various civil society organizations, research institutes and development think tanks in Zimbabwe, South Africa, and across the globe. Arguments and opinions herein are the author’s personal views and thus no institution or organization should be held accountable.